Our yoga teacher training program first and foremost is focused on empowering participants with tools from the art & science of yoga to enhance personal wellbeing. This lays a firm foundation from which to teach others, from the heart – with awareness, compassion, sensitivity, and clarity. Participants will receive a practical and theoretical understanding of yoga – yoga psychology, asana, yoga physiology (mudras, bandhas etc) pranayama, meditation, functional anatomy, teaching principles and the therapeutic application of yoga. This program is for the dedicated student ready to take their practice to a deeper level. 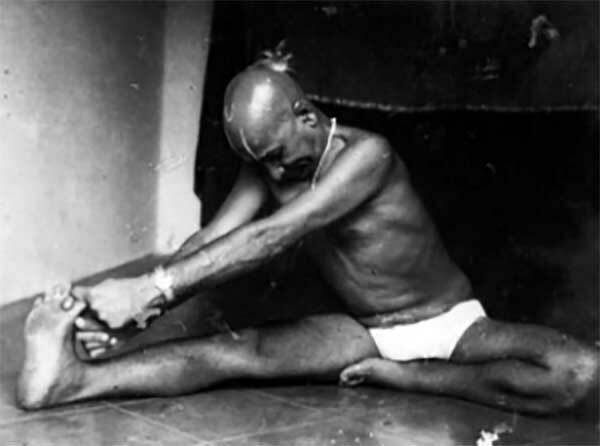 It offers a solid foundation in traditional yoga, inspired by the teachings of Krishnamacharya, combined with science and modern understanding. “I completed my teacher training with Barbara in 2017. The course was life changing for me! “I completed the Teacher Training course with Barbara in 2014. We were given a thorough grounding in the ancient origins and philosophy of yoga, right through to the details of each of the asanas, and the tools to maintain and develop our own practice and understanding of yoga. Barbara is passionate about maintaining the fine integrity of Svastha yoga through her classes and her unique style of teaching. We all benefited from this opportunity to work practically and theoretically within a small supportive group in a beautiful studio, and graduated with the skills to structure and teach our own beginning classes, on a solid foundation of knowledge. “In 2013 I completed the Svastha Yoga teacher training course with Barbara Coley. I had anticipated to gain full understanding and practise of how to teach a yoga class, how to sequence various postures and more knowledge about the benefits and potential drawbacks of postures for future students of mine. “I was a relative newcomer to yoga of any sort and feel very grateful to have had the opportunity to benefit from the Svastha approach to yoga. I found this a very accessible, logical, and profound style of learning which has its emphasis on the integration of body, breath and mind. It allows for yoga to adapt to each person and has great attention to safety and detail. “Attending The Svastha Yoga Teacher Training Program with Barbara Coley was possibly one of the best decisions of my life.